You know what that means… the craziest, flavor bending, once in a lifetime creations from your local brewers, cidermakers, distillers, and food artisans. But that’s not all. As usual, we’ve got some surprises in store for you that will not just tingle your tastebuds but blow you away. 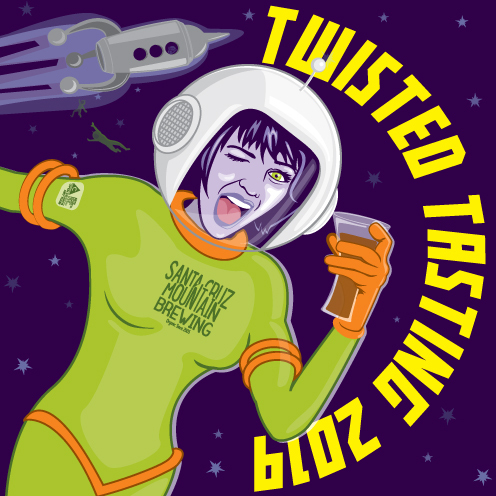 In conjunction with SFBEERWEEK 2019 – TWISTED TASTING is an event like none other. TWISTED TASTING is a benefit for the ARTS COUNCIL OF SANTA CRUZ COUNTY. Since 1979 the Arts Council has fueled and supported the unique, ever-evolving Santa Cruz County arts ecosystem. They’re a private, non-profit agency made up of a staff, board, and volunteers dedicated to strengthening our Santa Cruz community through the arts.